Did you know that office plants can be good for you? It’s true. Not only can plants enhance the overall appearance in the office, but they can also reduce stress and eliminate air pollutants. In addition, office plants can provide screening or a pleasant focal point. Fittonia. The over sized, inside-out look on the leaves of the Fittonia can serve as quite a focal point in your office space. This plant, which is sometimes also referred to as the nerve plant or mosaic plant, can work well in offices because it actually thrives on fluorescent light. Philodendrons, of which most are climbers, are great for adding height to small areas. Place them on filing cabinets or in hanging baskets. These plants are easy to grow and suitable for a wide range of indoor conditions, including occasional neglect. Spider plant (Hen & Chicken) is one of the easiest plants to grow indoors and it develops impressive “spiderettes”, which hang down from the plant. Place it somewhere high for all to admire. Snake plant (or mother-in-law’s tongue) makes a huge statement in the office. It has attractive sword-like leaves that grow somewhat tall, making it excellent for focal interest or screening. Cactus plants – when all else fails, there’s the trusty cactus. There are many types to choose from, all of which are certain to spark conversation. Rubber plants make an excellent addition to office décor and are well known for effectively removing indoor air pollutants. Peace lily is also known for its ability to clean up the air. It’s tolerant of low light and is a vigorous grower too. English ivy is not only easy to grow, but also helps eliminate mould. Thriving in nearly any light condition, it looks great climbing up a pole or in a hanging basket. Umbrella plant is perfect for providing privacy, as it grows quite tall. The amount of light generally dictates this one’s care – low light, drier soil; bright light, more water. African violet is considered one of the best office plants for small spaces. 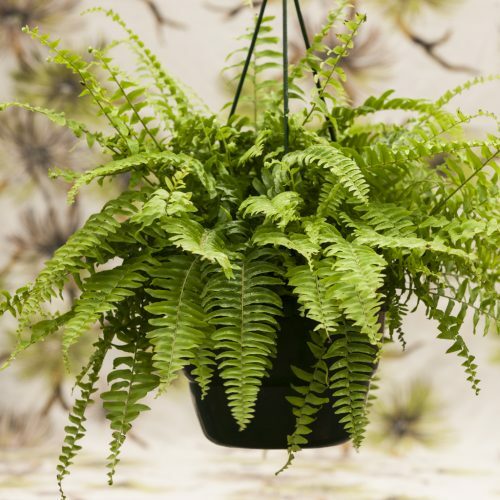 While these little plants require a little more upkeep, such as plenty of light and moisture, they’re great for adding a splash of colour to dreary office environments.